This blog continues the analysis in "Islamism's Likely Doom," where I traced recent fissiparous trends among Islamists. They just can't seem to get along anymore. To quote Yusuf al-Qaradawi speaking in a different context (the prospect of U.S. forces attacking the Assad regime), "Allah pits the oppressors one against the other." Plus, to know Islamists is to reject them. This weblog entry follows the two themes of in-fighting and unpopularity. Jordan: The aftermath of the Egyptian coup d'état three months ago has left the Jordanian branch of the Muslim Brotherhood, known as the Islamic Action Front, reeling. David Schenker of the Washington Institute for Near Eastern Policy finds that the old division between East Bankers and Palestinians has come to the fore; also, both Salafis and mild reformers, the latter in an organization called the Zamzam Initiative, have gained in strength. Under the Islamic Republic -- a regime that legitimizes the exclusive rule of the ayatollahs, makes Islamic law the main basis for legislation, and imposes it on all aspects of daily life -- many youths and other Iranians have turned away from Shiite convictions and embraced atheism, skepticism, Sufism, Sunni Islam, the Bahai faith, evangelical Christianity, Zoroastrianism, Buddhism, and New Age and Latin American mystical trends. Hezbollah and Hamas: These two leading Islamist and anti-Zionist organizations face an internal rebellion, Orit Perlov explains in "The End of the Muqawama? Hamas and Hizbollah Face Reform or Collapse; Discourse on the Palestinian and Lebanese Social Networks." One of the most evident results of the "Arab Spring" has been the shift in focus by Arab civil societies from outside to inside – from foreign policy to domestic affairs. Civil society in the Arab world is demanding the redressing of injustices. Nationalism and Islamism have been replaced by a demand for democratization, rights, and freedom. The Gazan and Lebanese civil societies, which have experienced civil wars and violent struggles against Israel, are not eager for revolutions or the collapse of the political and social structures. Moreover, as reflected in the social media discourse, the Palestinians and the Lebanese believe far less than they were wont in violent struggle as a successful and legitimate means of achieving their political, socioeconomic, and national reforms. Trend analysis of the social networks among over one million Palestinians (which represents approximately 35 percent of the Palestinian population) and half a million Lebanese (15 percent of the population) reveals that for the first time in the past 30 years, the "enemy from within" (Hezbollah and Hamas) is regarded as more dangerous than the "from without" (Israel). Saudi Arabia vs. various Islamists: Irfan Al-Alawi and Stephen Schwartz note that the Saudi authorities banned Tareq Suwaidan, a Kuwaiti Islamist television preacher, from visiting Saudi Arabia to perform the umrah, the out-of-season hajj, and that this followed hard on Suwaidan's dismissal from a television station, Al-Resalah, owned by Saudi Prince Alwaleed Bin Talal. The duo then look at the kingdom's larger difficutlties with the Muslim Brotherhood and Tehran, even as it is making movements toward modernization, amounting to what they call "the internal contradictions of Saudi reality." Declaring boldly "there is an MB smell in Saudi Arabia," Alwaleed was told he had been accused of supporting the Brotherhood, and answered, "God forbid"—then pronounced the words twice more. He warned, "several Saudi sheikhs reek of the Muslim Brotherhood." Asked how Saudi Arabia should get rid of the "smell," he replied that the monarchy must "meet more of the people's demands, to avoid giving [the MB] the opportunity to take advantage of the poverty, the housing problems, or the cost of living." Saudi anxieties over the Muslim Brotherhood, the failed Arab revolutions, and Iran should not be dismissed by cynical Westerners as mere expressions of anxiety over the permanency of Saudi royal power or reflections of intra-Muslim competition. This, then, is the regime's current state of affairs, replete with internal contradictions and social pressures, requiring renewal as well as comprehensive self-criticism. But these requirements are difficult for the Islamist mind to deal with, because of that mind's belief that it alone is the possessor of the ultimate truth. As a result, Sudan's Islamists, in their multitude of tribes, continue to wage political and philosophical civil wars. History has outsmarted them, and the battle that was supposed to pit Islamists against secularists and liberals has been transformed into one pitting Islamists against Islamists. Their inter-war began when Hassan al-Turabi supporters fell out with President Omar al-Bashir and his followers, culminating in the Turabis allying themselves with the communists and Popular Movement. the Sudanese regime ... irrefutably proved political Islam's inability to build a modern democratic state, and thus became a source of embarrassment to all Islamists in the region. That, then, was the beginning of the fall for political Islam, as further evidenced by the Muslim Brotherhood's experience in Egypt. We are witnessing the end of political Islam's era, which began in the mid-1970s, to be replaced by what Iranian intellectual Asef Bayat described as a "post-Islamization" era, when politically and socially, following a period of trials, political Islam's vitality and attractiveness have been exhausted even among the most ardent of its supporters and enthusiasts. For nearly ten years, the alliance between the AKP and the Gülen movement—natural and spontaneous, for the most part—has functioned well, but it is now showing increasing fragility, exacerbated by changes in the conditions and the sociopolitical context that initially gave rise to it. Indeed, the raison d'être for this alliance—the vital need for both groups to protect themselves against the Kemalist apparatus, embodied in particular by the army—is gradually disappearing. With support from the Gülenists, the ruling AKP has considerably reduced the role and power of the army, which no longer enjoys the political prerogatives that made it even recently the true power in the country. A host of other factors have also contributed to growing tensions, and the diametrically opposed temperaments of the two leaders—Erdoğan is impetuous and hot-tempered, and Gülen is prophetically calm—do not facilitate dialogue. 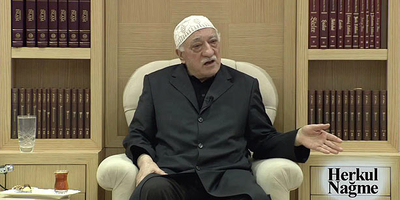 Erdoğan's alliance with the Gülen community, although strained, is still likely to last. Despite Gülen's concerns about the prime minister's growing authoritarianism and Erdoğan's fears about the Gülen movement's growing influence over state structures, ideologically the AKP and the Gülen movement remain close. The alliance will stand for another reason—the Gülen movement lacks a viable political alternative. Hezbollah Secretary-General Hassan Nasrallah verbally attacked the Kingdom of Saudi Arabia, accusing its intelligence services, led by Prince Bandar bin Sultan, of financing the Islamist suicide bombers perpetrating attacks in Lebanon and Syria. The intensity of his attack reached the point of Nasrallah dissenting from the position of his ally Iran that Israel had been responsible for the twin suicide attacks aimed at leveling the Iranian Embassy in Beirut on Nov. 19. ... Previously, Nasrallah had never mentioned Saudi Arabia by name when criticizing it. This recent frontal assault, however, reflects the depth of the crisis that has come to mar relations between the two sides. ... The strong, prevailing impression inside Hezbollah is that Saudi intelligence is waging an unprecedented security and political mobilization campaign against it. Those who don't see the thief but go after those trying to catch the thief, who don't see the murder but try to defame others by accusing innocent people - may God bring fire to their houses, ruin their homes, break their unities, keep their feelings [i.e., wishes] within their chests, block their path, prevent them from being something. ... The issue is about the rights of the public. If the public property is being robbed, you cannot somehow soften this [crime] by either regulations or demagogy and dialectics. This is the right of the public. ... If someone overlooks this, then they are acting jointly with the thieves. Blaming others for the crimes one commits is a "dialectic to the religion and the fundamental basics of the religion" and amounts to a doubling of the crime. Gülen also decried an "assymetrical assault" on his movement and warned against efforts to close it down. Fethullah Gülen responds to the removal of police officers looking into AKP corruption. Deadly clashes were reported Friday[, Jan. 3] in northern Syria between Sunni Islamist jihadists linked to Al Qaeda and insurgents in other alliances, punctuating a growing schism within the armed Syrian opposition over the power exerted by its religiously radicalized members, many of them from other countries. Antigovernment activists in the Aleppo area said that fighting had broken out near the Idlib Province town of Atareb, west of Aleppo, pitting members of the Islamic State of Iraq and Syria, or ISIS, a powerful Qaeda affiliate that includes foreign fighters, against an array of seven homegrown Syrian rebel groups. 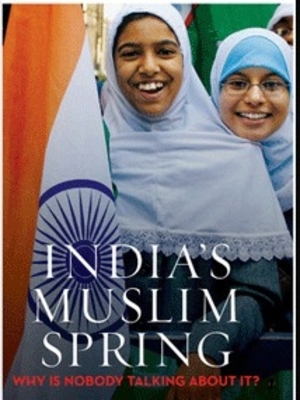 India: Hassan Suroor, India's Muslim Spring: Why is Nobody Talking About It? offers insights into Islam in the subcontinent. He starts by revealing his surprise to learn that Islamism in India is not steadily growing but "actually dying a slow death." they condemn the campaign of intimidation and harassment to which he has been subjected in the name of "defending" Islam and the Prophet. They are embarrassed by such antics which, they say, bring shame to the community and, indeed, Islam itself. There is a feeling of having been let down by previous generations—their parents, grandparents—who they believe were too timid to challenge the fundamentalists. "We want to draw a line under all that and move on," is a common refrain. More Muslim youth wear beards today than ever before and young Muslim women proudly show off their "hijabs." ... Yet, it is also the most open-minded and self-confident generation; and—most importantly—optimistic about its future in India. India is their home and this is where they see their future. "It is the best place in the world," is a phrase that I heard over again and again. For all the talk of Muslim "alienation," today's young Muslims are remarkably well-integrated. From Tunisia to the Persian Gulf, Arab regimes and societies are showing resilience and determination as they confront the attempt to impose a radical Islamic interpretation on their way of life. "the core of a global jihadi movement. The former Iraqi branch of al-Qaida [ISIL] has now superseded [Osama] bin Laden's network to become the more important driving force behind the global jihad. ... Their objectives were quite different, even contradictory. The ISIL was fairly comfortable with Assad staying in power for the time being, as it was more interested in building its own base, while the Nusra Front was adamantly resolved to topple the dictator." The al-Qaida senior leadership's power is dwindling, "which is why the future of al-Qaida is with ISIL, emancipated from the illusions of bin Laden's virtual base, which did not survive him." Filiu said the distinction between "global jihad" and "national jihad," which sticks to state borders, was already clear in Iraq between the "global" outlook of Zarqawi and the "national" insurgency that included jihad propaganda and foreign volunteers. The structural fissures rocking the Muslim Brotherhood in Egypt and elsewhere have brought the future of the movement into question. Internal disputes and rifts, from Egypt to Sudan to Jordan, are not just a manifestation of developments in the relationship between the movement and the governments in the countries where it operates but also of the changing dynamics within the Brotherhood's rank and file. Less clear is the impact of the erosion, since July 2013, of the Brotherhood's grassroots base. The quarrelling is at its fiercest in Egypt where it has reached the stage of moral and ethical imputations against the leadership. ... The crisis gripping the group in Egypt, embodied by the face-off between the Mohamed Kamal/Mohamed Muntasser and the Mahmoud Ezzat/Mahmoud Hussein fronts, is multifaceted. It is an internal power and a generational conflict that exploded into the open when the flaws of the leadership were exposed to the Brotherhood's rank and file. ... Many former Brotherhood leaders and experts on the group now believe the divisions are too deep to contain. The group's internal crisis has spilled over into Sudan. ... The Sudanese chapter of the Muslim Brotherhood is showing the same factional leadership struggles as its Egyptian counterpart. The Jordanian Executive Bureau, headed by Himam Said, was accused of attempting to eliminate opposing factions, of establishing a "secret" wing, falsifying elections and purchasing votes. Nine decades after its birth of the group's hierarchical and organisational structures in several Arab countries are on the verge of collapse. It appears that the Brotherhood, for long too rigid to inject new blood into its leadership, has entered a cantankerous dotage. Hamas, leave office. It's been 10 years you've been responsible for the plight of Gazans. You sent us back 300 years. We have no electricity, no water, no jobs and borders are closed. Life, dreams, hopes, everything is finished!